Your perforator is not enough? 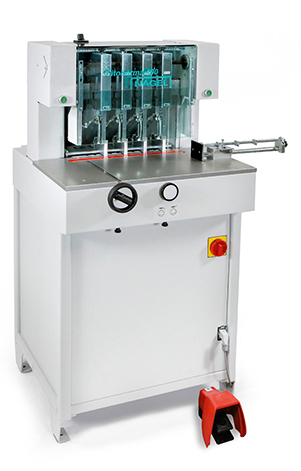 The electric Citoborma perforators are the perfect choice whenever the capacity of a manual perforator is no longer sufficient. 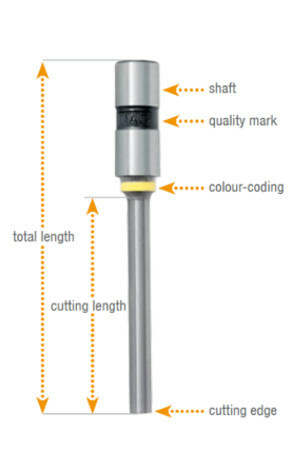 For individual requirements and a perfect drilling of paper stacks the Nagel Citoborma drill bits are best suited. The models are available in different versions due to the number of spindles needed. 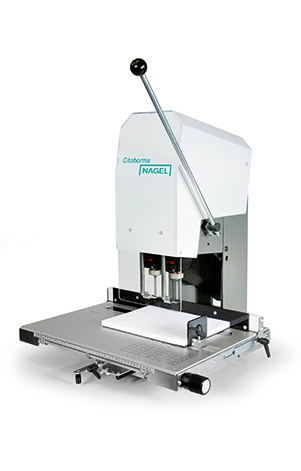 With the Citobroma 111 electric hole punch, Nagel has created a compact tool for a flawless perforation of thick paper pads. 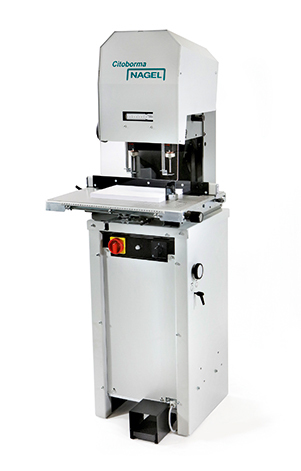 The Citoborma 111 is frequently used by banks, in-house print shops, copy shops, notaries, public and tax accountants, i. e. anywhere that large quantities of stacked paper must be punched. The standard version of the Citoborma 190 comes as a table top model, but is also available with an optional stand with foot treadle operation to increase productivity. The Citoborma 190 models are equipped with one spindle and a unique quick release FlexoDrill° sliding table. The drilling machines Citoborma 290 are remarkably user-friendly, cover a wide range of applications and are equipped with two spindles. 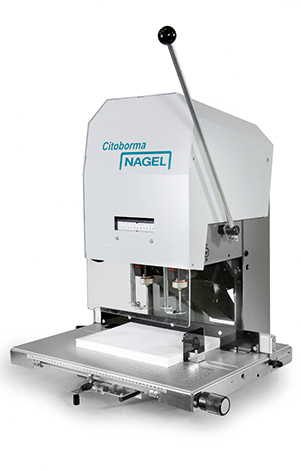 Nagel offers three different versions of the Citoborma 290: Citoborma 290, Citoborma 290 B and Citoborma 290 AB. The table top model Citoborma 290 B offers maximum flexibility for any hole patterns with it's two drill spindles with a variable distance. The excellent design of this line of products permits convenient and time-saving work while ensuring an extremely precise drilling performance. The excellent design of the Citoborma 290 AB with automatic lifting gear is recommended for large volumes and sensitive substrates. The drilling stroke is activated by means of a foot switch, which permits fast and easy working. 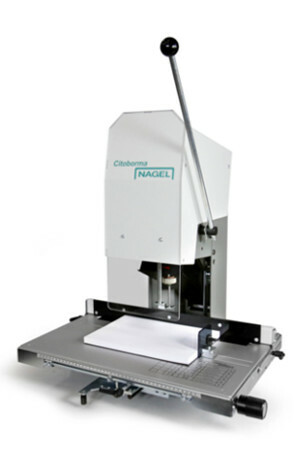 The Nagel Citoborma 490 paper drills offer the perfect solution for all requirements and materials. 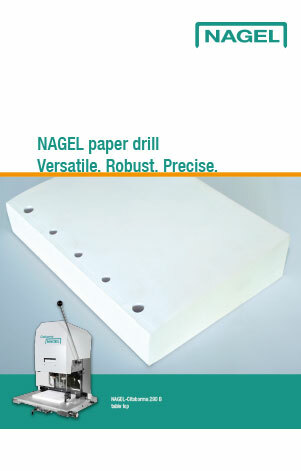 Robust and extremly precise even under heavy duty, the compact Nagel Citoborma 490 is a professional paper drill. This easy-to-operate machine comes with a wide range of standard equipment. 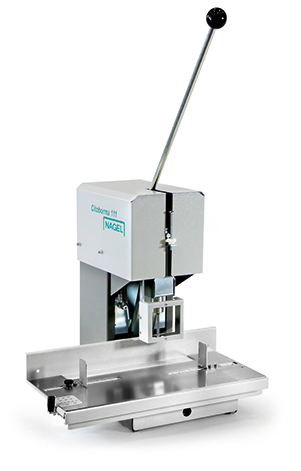 With optional accessories, the drill can be customized to meet even highly specialized requirements. Precision paper drill bits are produced from high quality special steel and guarantee high durability and a long service life. Different qualities guarantee the best results when drilling paper, paperboard or film. Our development department is always at the leading-edge of paper drilling technology. Our state-of-the-art measurement equipment supplies us with valuable results, with which to select optimum cutting speeds. Parameters such as drilling force, heating-up and wear provide us with the foundations upon which to advise our customers on their drill-type selection.